At ProStop, quality is the foundation of our corporate culture and the focus of each and every part we sell. 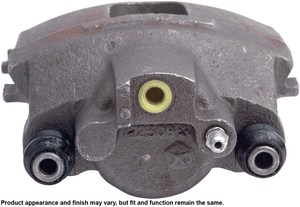 ProStop Remanufactured Brake Calipers are remanufactured to meet or exceed OEM performance. Each caliper includes all hardware needed for easy installation (mounting bolts not included). ProStop's caliper hardware allows for quick and easy installation because you no longer need to search for replacement components or reuse old hardware. Also, all rear parking brake hardware is installed and lubricated for your convenience, where applicable. ProStop dedication to quality and consistency is supported in our focus on facilitating caliper installation and offering you flexibility. With the freedom to choose whatever friction you desire, ProStop Remanufactured Brake Calipers can be tailored to meet your needs. This winning combination of quality, consistency, and flexibility is another example of how ProStop helps drive your business, providing a quality product both you and your vehicle can rely on.